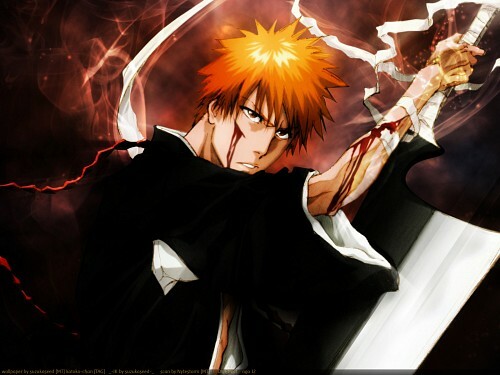 Today a Ichigo's wallpaper... I found a new effect called "Dark knight"
parts... withe parts and Ichigo's skin. some comment or favorite... I really say you "Thanx so much". not a bleach fan at the very least but this wallpaper deserves a comment ! the detail to it is just beautiful. the detail to the blood flowing is very detailed. can't complain that this isn't a very well done, not to mention I like the effects and dark/light effects here. Awesome wallpaper! I love the lighting effects and everything!